What Are Some of the More Common Eye Diseases Affecting the Elderly? Do your parents go for yearly eye exams? It’s important that they do see an ophthalmologist once a year for a thorough exam. During this exam, screenings for common eye diseases take place. Caught early, many of these eye diseases can be diagnosed and treated or monitored each year. Macular degeneration affects the macula, which is an area in the center of the retina. Symptoms of macular degeneration include blurred vision, dimmer vision, and loss of vision in the middle of the field of sight. It’s a disease that progresses slowly and has no cure. Astigmatism often starts in infancy. The cornea or eye lens is slightly curved. This can lead to blurry vision, headaches, and eyestrain. It often goes hand in hand with myopia. Surgery, glasses, or contact lenses can correct the issue. Cataracts occur later in life. According to the American Federation for the Blind, half of all seniors age 80 or older have cataracts. In the early stages, anti-glare sunglasses can help. Seniors with cataracts may be told not to drive before the sun rises or after sunset. If the cloudy vision is affecting daily activities, surgery can treat cataracts. If your parent has diabetes, it’s important to monitor eye health. Diabetic retinopathy is a condition where diabetes puts a strain on blood vessels in the retina. Untreated, your parent could lose his or her eyesight. When fluid within the eye increases and puts pressure on the eye, loss of vision occurs. It’s the peripheral vision that goes, which makes driving dangerous. 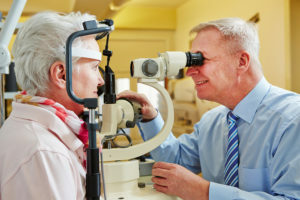 Seniors with glaucoma should see a doctor to prevent vision loss. Eye drops and surgery are common treatments for glaucoma. Myopia is one of the more common eye conditions. You know it best as nearsightedness. People with myopia see things close up, but those things farther away are blurry. Glasses, contact lenses, or eye surgery corrects myopia. After the age of 40, most people experience presbyopia. It’s a condition where small print becomes hard to see. You usually have to hold books, magazines, and labels a certain distance from the face in order to read it. You may find yourself needing a magnifying glass or reading glasses. When changes to the vision make it hard to drive, you must talk to your parents into giving up the keys. They don’t have to give up their independence or freedom. Home care professionals can drive them to appointments, stores, friends’ houses, senior centers, and other area locations. Easy Living Home Care owner and administrator, Lori LaPorte, has over forty years of extensive experience caring for the elderly community. Ms. LaPorte graduated from Western Michigan University with a Bachelors Degree in Special Education, Elementary Education and Health. At a very young age it was always Ms. LaPorte’s passion to work with the elderly. She was a caregiver at a nursing home in high school and college and volunteered in senior centers and senior events held by the city in which she grew up. After graduation, Ms. LaPorte became a special education teacher for sixteen years. She put her teaching career on the sidelines to raise two wonderful children, during which her passion for the elderly inspired her to start Easy Living Home Care in 2009. 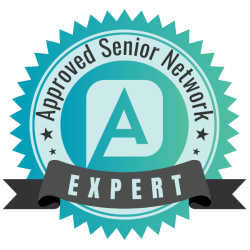 Ms. Laporte wanted to help people, especially seniors, find competent, qualified, and caring in-home care at reasonable rates. Ms LaPorte takes an active role in conducting and managing all operations of her business. She is patient, compassionate and listens. Ms. Laporte is always available to her clients and staff. In her spare time, Lori volunteers for the American Red Cross and Leashes of Love canine rescue organization.